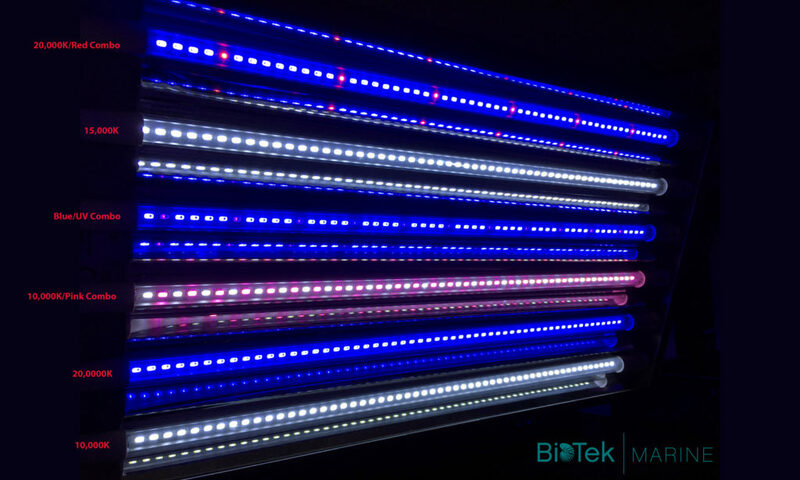 BioTek Marine has released a new BTM5HO LED color option, bringing the total color choices to eight. 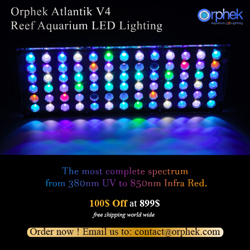 The Blue, White and Red T5 direct replacement LED lamp is comprised of 70% Blue, 20% white and 10% Red LED diodes. The lamp produces a 15Kish appearance over the aquarium. The light combination was developed with retail fish systems in mind but it will likely be a popular choice for hobbyists as well. 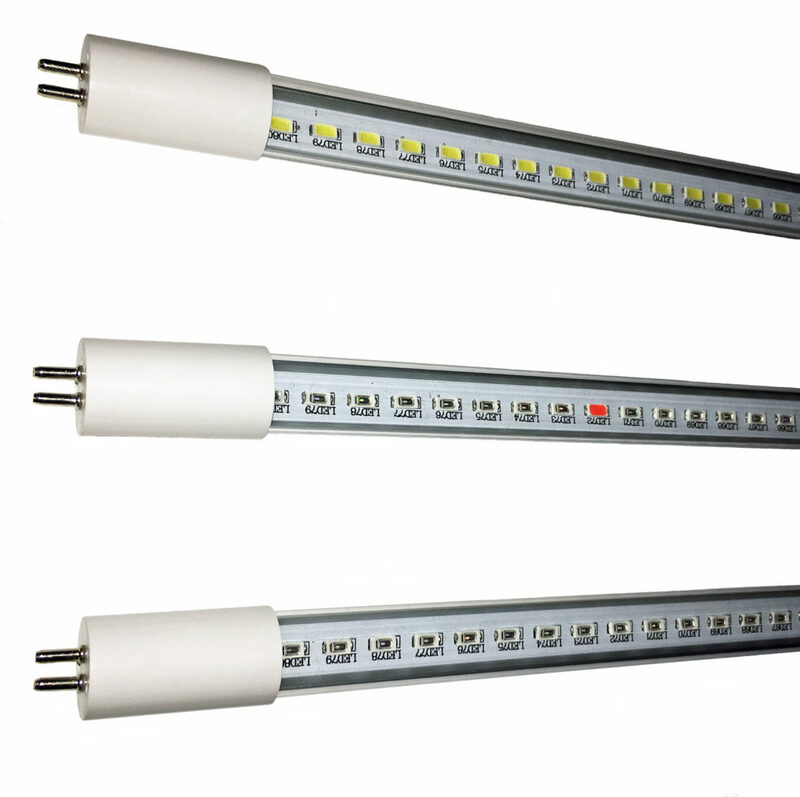 Like the other BioTek Marine BTM5HO retrofit lights, these lights draw much less power than traditional T5 fluorescent lamps and they are brighter and easily dimmable with the use of a dimmable electronic ballast. Blue 70%, White 20%, Red 10% – Produces a 15K appearance. 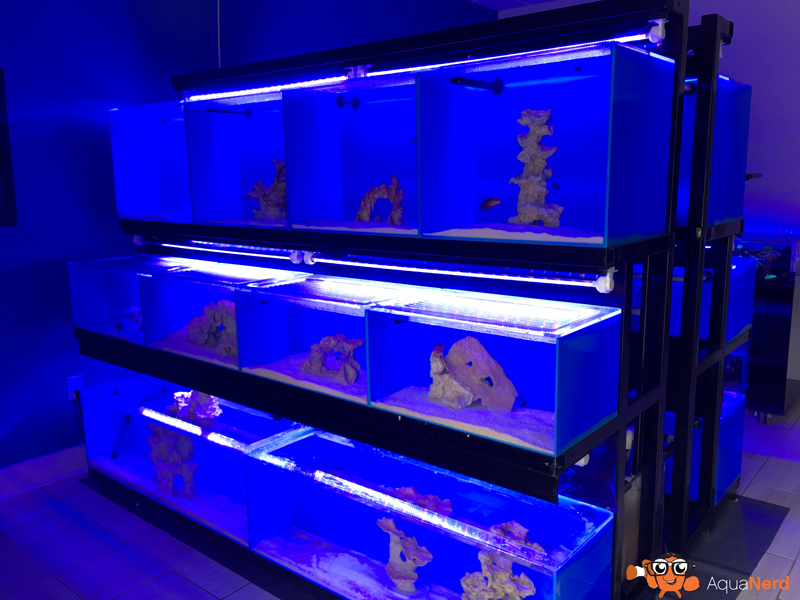 20 aquarium fish system with a mere 216 watts of total power for lighting.